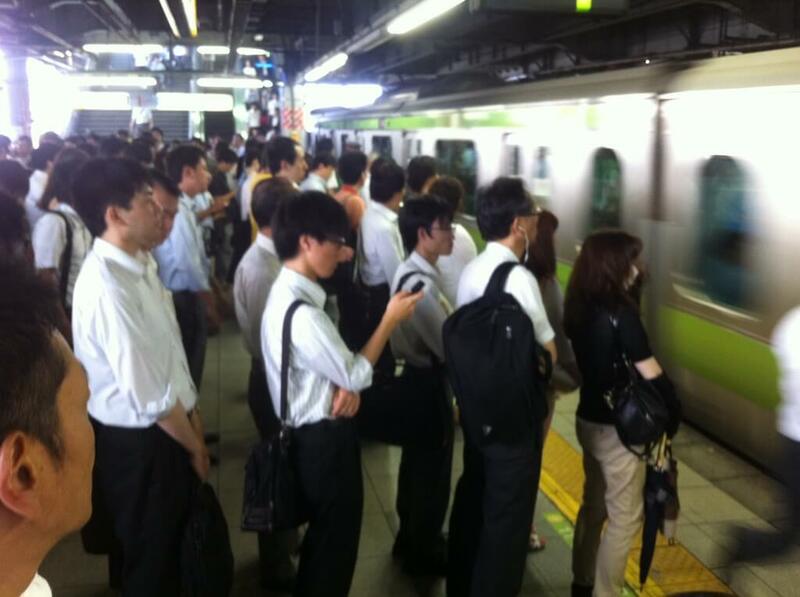 They are such obedient people – they line up either sides of the train carriages in pairs. Just such restraint. They certainly love a cute uniform with a hat! Just a short post for now, but I thought I should break my two week posting drought! Welcome back, Sarah! Hope you saw lots and learned lots! I probably would have been baffled by the hand-drying thing. Thanks – I did see way more than I ever would have independently, and learnt heaps too! Happy homecoming! I hope you're not suffering jet-lag too badly. I love hearing about the differences – how amazing (and great) that there is such an orderly approach to lining up for trains. Really looking forward to hearing more once you recover from the trip! I think I'm right with jet lag – there's only 1 hr time difference, so it's pretty easy to move between the two. I got a good night's sleep last night, but was groggy most of yesterday fater only some interrupted sleep on the overnight flight! I can't wait for your posts. When I visited a long time ago, it was an amazing country. I really wanted to go back!!!! It is totally different to anywhere else, that's for sure! Sounds like the humidity here! And most of our bathrooms don't have paper towels either – it's all hand blowers/dryers. I like the terry cloth idea though. I might consider copying it . . There were blow hand dryers in some places, but certainly not all! The only places that had paper towels were two hotels' lobby bathrooms. What do you think would happen if someone didn't join the queue for the train? Just walked between the queues and jumped on first? I'd be so tempted, just to see. And with my blonde hair, I'd definitely stand out as an outsider!